In a bowl, stir together oats, milk, chia seeds, sweetener and FlavaMix until well combined and let sit for 15 minutes. In a small jar, spread 1 tbsp peanut butter at the bottom. Spoon oat mixture into the jar. (Optional) Spoon 1 tbsp melted dark chocolate on top of the oats. Store in refrigerator overnight with sealed lid. 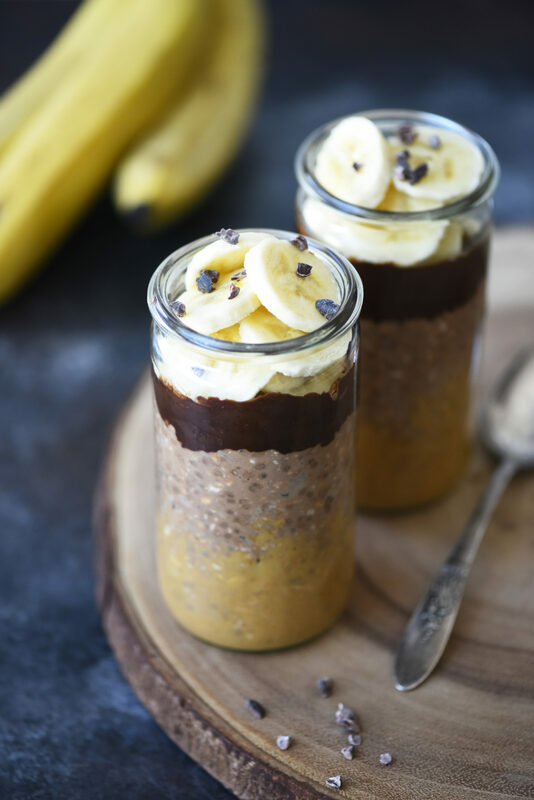 In the morning, top with sliced bananas and cacao nibs and enjoy on-the-go or at home!